The very first way is through creation when He created the earth and mankind. God wants communion and fellowship. So, in the beginning, Adam and Eve met with God and spent moments with Him in the Garden of Eden. The original plan was for mankind to subdue the earth and live with God forever but man fell into sin and corruption came in to God's dismay. However, God has a redemptive plan for mankind. That's how much God loves us. He will not leave us helpless, hopeless, and in miserable stance. God has a supernatural providence and provision for man. He puts a divine order in people's lives if they will follow His ways. However, there are instances that we step out of God's umbrella of provision and protection because of sin so we need to repent and turn away from it completely. God's love is lavish and extravagant. His is a big God who has huge dreams for us. Every time we feel that God does not love us anymore and already turned His back from us, let us remember these three things. 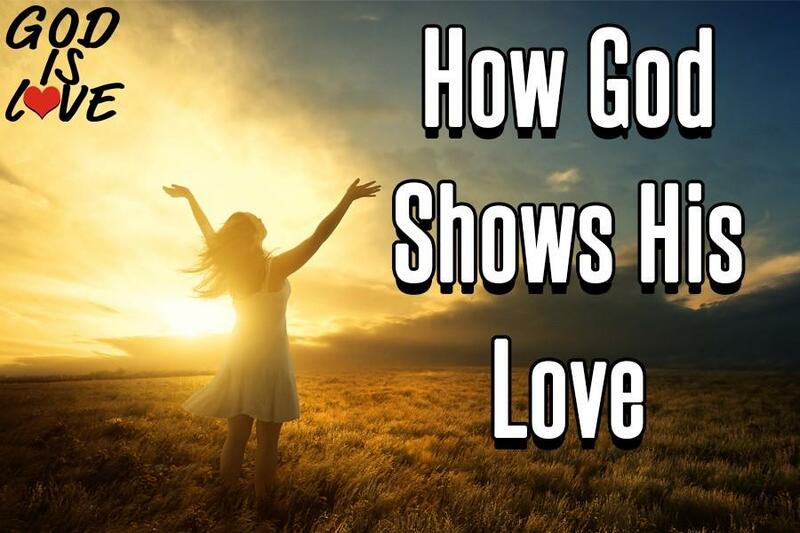 Here at God Is Love Clothing, we literally demonstrate God's love for us through Christian apparel with words that remind and affirm us that God is love and that He loves us. Secular brands promote their logo and taglines capturing their vision and mission. Our t-shirts promote God and His love. We are a new company with a vision to spread God's love to the ends of the earth so we opted for an online store that is able to ship to any point in the world. Choose from our range of Christian apparel and experience God's love unlike any other.